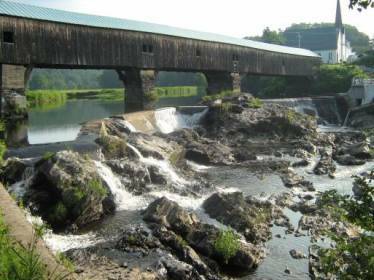 Originally constructed in 1794 outside the village of Bath, New Hampshire, this historic covered bridge is among the oldest in the United States. It was replaced several times during the late 1700’s and early 1800’s until the fifth bridge to be built on the site was constructed in 1832. 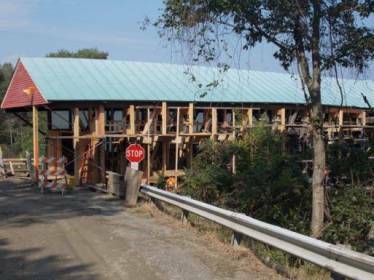 At its grand reopening the town fathers of Bath instructed that signs be placed on the bridge stating “One dollar fine to drive any team faster than a walk on this bridge.” 181 years later the bridge still bears signs carrying this message. 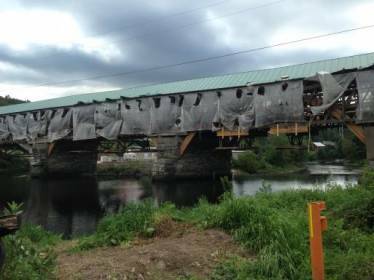 In 2013, a $ 2.3 million restoration was begun on the bridge under the auspices of the New Hampshire Department of Transportation and the Federal Highway Administration’s National Historic Covered Bridge Preservation Program. 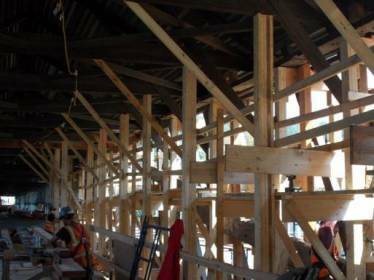 The contractor in charge of performing the work trusted Portland Bolt to provide the 100% domestic bolts, tie rod assemblies, and other fasteners required for the project. With Portland Bolt’s over 100 years’ manufacturing history, the contractor knew that they could rely on us to provide quality product in a timely fashion with the full domestic certification that this federally funded project required. From forging the bolt heads, to fabricating the custom plate washers, to threading and test fitting the tie rod assemblies, to hot dip galvanizing, Portland Bolt’s manufacturing capabilities ensured that we were able to tackle all phases of manufacturing the complex and diverse fasteners required for this project in house, thus maintaining control over quality and delivery schedule. Whether your project is simple or complex, whether you are just down the road, across the country, or overseas, our team of experienced estimators can help you get the bolts your project requires!